I do like the change on my laptop but on my phone I wish I had the same look, instead I get this mobile version. I wish I could change it to the desktop version. I saw where you can change it back to the classic style, if you want to, on my computer but can't on my phone. Is their any way to do that? If not I guess I'll just get used to it. You can change back to the old skin in your control panel if you want to. surferpkt and Doge like this. Adblock... I don't like blocking ads on website I like supporting, but if they become intrusive, they get blocked. I buy my parts from forum sponsors though so there's that. Do you guys like this more Yellow coloring instead of the green? I don't like how dark the background of the main discussion panels is, but I especially don't like how wide the Recent Discussions panel is. It makes it nearly impossible to read the titles of the threads on the left on a tablet as that column ends up wrapping to two words per line. For now I've switched back to the old skin. I had to switch back to the classic view.....the new format hurt my eyes and was harder to skim through the threads because everything was SO BIG. I went ahead and merged all the threads pertaining to the update of the forum so all the feedback and discussion can be seen by the staff. 3) Esprit, Elan, Lotus 7 need to be there because this is a Lotus forum, not a "Modern" Lotus forum. See the above quote. There is an Esprit there. Just some browsers aren't wide enough to see it. This shouldn't be difficult to fix though. Or blue or red or green or purple, just not this awful bilious gold? I think blue would look good. IMO the yellow is a little too bright. I would vote for a blue of some sort. This site just cost me about $30,000. Every time I come on, the orange 400 in the banner speaks to me and says "go directly to the dealer and order a new orange 400". Doge and KCZ like this. Does everyone's image go to the newest post? Can that be adjusted back to starting a thread at the first post? Aggravating when you go to a thread you have never opened before and it goes to the end. This can be changed in your User CP under how to display threads. How do I show posts since my last visit? It's the only function of the old forum I ever used. Just click "NEW POSTS" up in the green menu bar. On it, we will sort out the other issues withing the next few business days. The yellow is better than the bacteria green/yellow color, though white text on yellow is hard to read. I honestly preferred the classic grey contrasting vs the yellow as it was simple and effective. Check out the new blue!! I changed back to the classic version.......I would submit that it's generally best to leave well enough alone! The blue is the ticket. That's what some other boards I follow use that have a very similar template. Thanks for working so hard to make this as workable as we can. 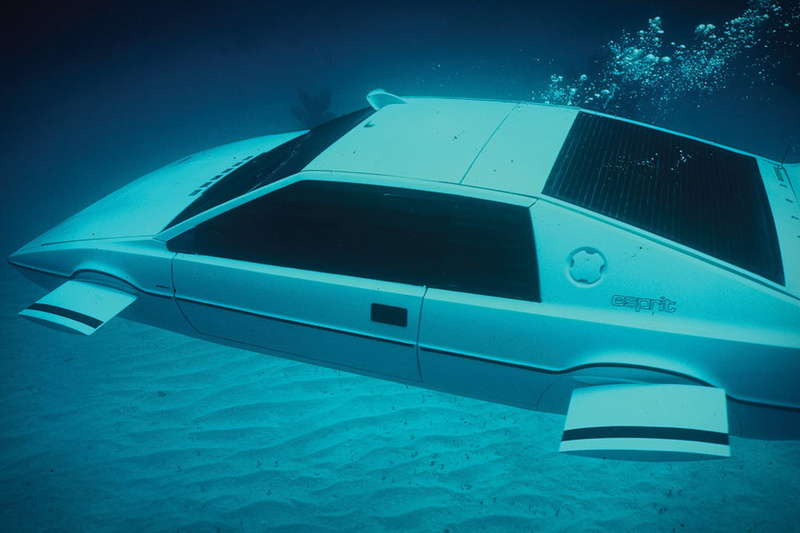 Kind of like the driving environment of James Bond's Esprit in The Spy Who Loved Me. Blue is best i think...less original but the easiest on my eyes. But you got to try orange before we conclude!